This is the FIRST convocation I've ever attended (Because I didn't attende college/uni, that's why) and I'm quite excited! LOL! 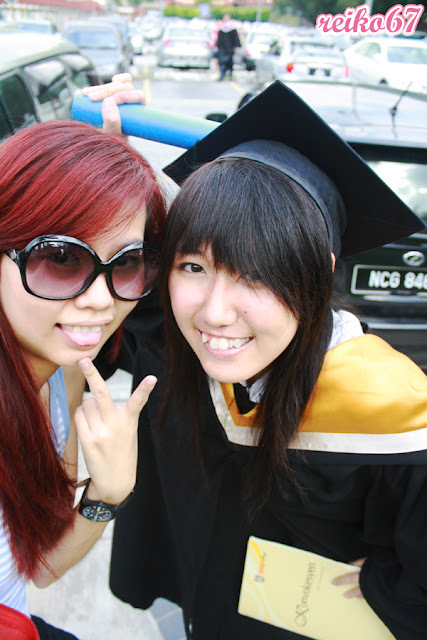 It's my beloved ji mui - Kurosaki Kei's big day! Ahhh~ Am so touching seeing her wearing mortarboard, feels like as if my real sister just graduate! I even bought a BIG Domo-kun as graduation gift! 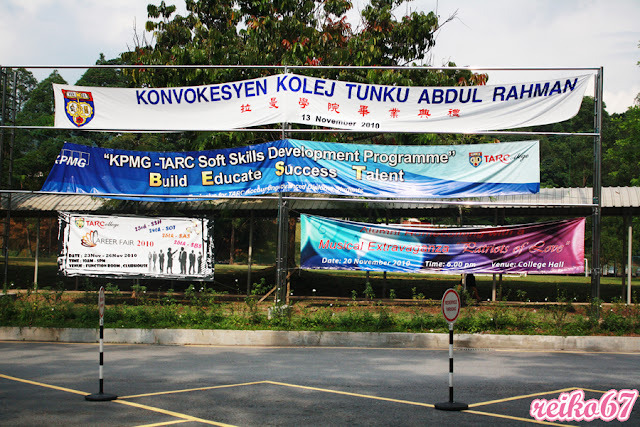 It's a real headache trying to find parking space around TAR College during convocation day. I didn't have the yellow car park ticket, so I have to find parking on my own. And I did an illegal car park, which I parked the motorcycle parking area. LOL! Reach there around 4pm (I guess??) and all the graduate students were out from the hall already! So many people around, all wearing the same graduation gown and mortarboard were making me headache. Luckily Kei's smart, she's standing below the main hall, seeking for me at the same time. Was still having shiny red hair by then, not a hard task finding me I guess. LOL! 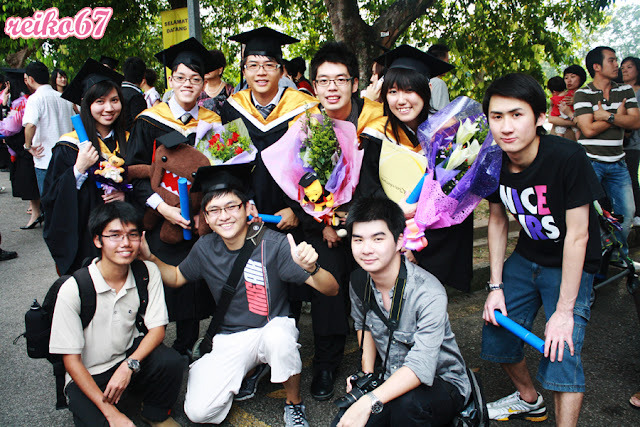 So many students and their family and friends... Everyone were busy talking and taking photo. Sun was fierce that day, you can see most of the graduate students were sweat dripping hot and stuffy... But the smile on their face shows how proud they are to be able to attend this one convocation of their life, a mile stone for them to remember and set path for a new journey in life. 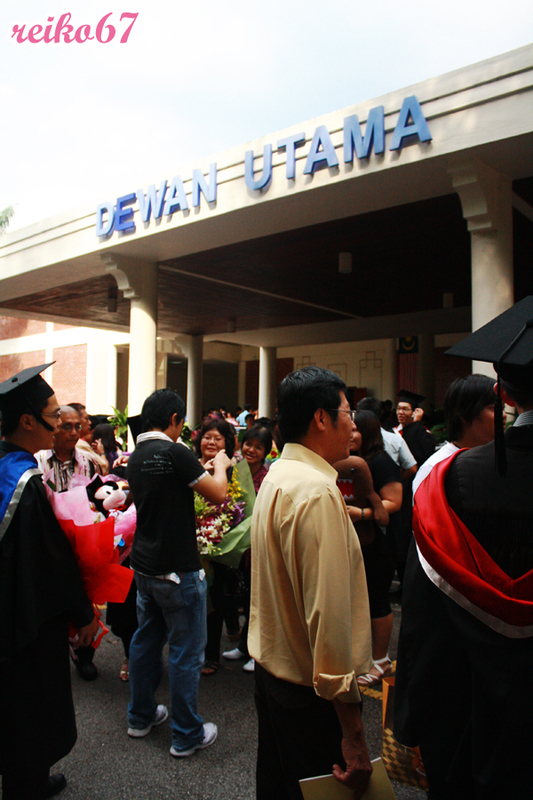 During that time, I was all struck with the feeling: Me too, want to attend my own convocation, am I able to study again? And at the same time, feeling regret for not admit to college after my STPM even though I have t start all over again. One of the recent question that pops up in my mind is: Can I study again? 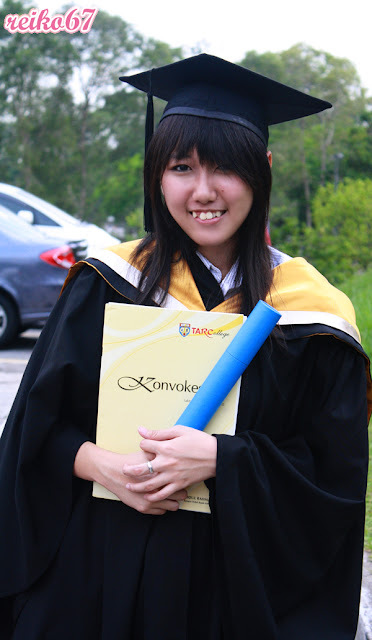 Am so glad that I attended her convo, one of the memories I cherished and shared with Seisyun! Yayy! 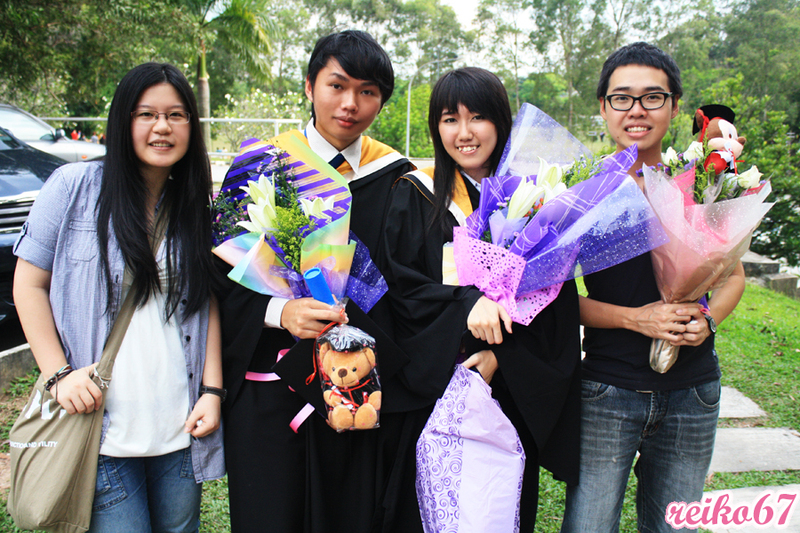 I graduated too!! Hahahahahahaha! 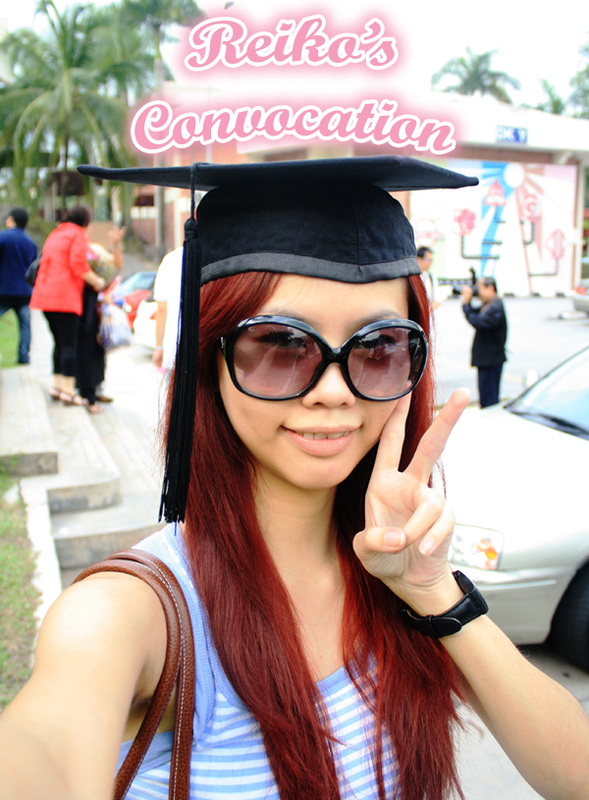 After view my photo of wearing the mortarboard, Peiyue told me that it's not good to wear the mortarboard if you're still studying, because in Chinese belief if you wear somebody's mortarboard before you can graduate, you won't even have the chance to graduate. LOL! Luckily I'm not studying. Haha! Anyway, super happy that I can attend this convocation of a best friend of mine. 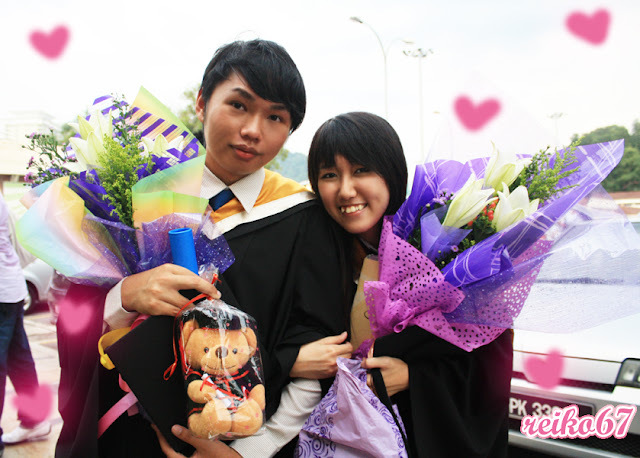 Kei-chan, thanks for sharing me the wonderful happy feeling of graduation with me. Love you so much! Wish you all the best in your work field ne! Gambatte FIGHTO!!!!! !